There was a rugby team that play in blue. They were a big city rugby side that had to compete with other with other sporting codes to attract fans. In their home city, rugby was often regarded as an upper and middle class sport played in private schools. For seasons their ranks of international stars seemed to underachieve. This label of talented underachievers seemed to be further compounded by the success of a local rival. This adversary a team in red, not only had won the silverware the blue team had so desperately craved but also enjoyed rapturous and loyal support from their more provincial fan base. However, through a combination of their talent starting to shine and the input of a tough Australian coach, the results started to come. This culminated in this team finally winning the trophy, which for years had eluded them. This was Leinster in 2009 after winning their first Heineken Cup. 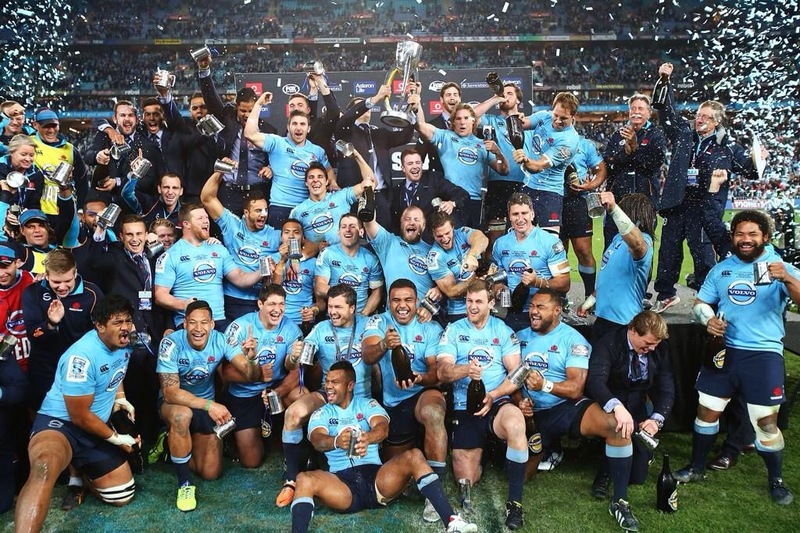 This is New South Wales Waratahs in 2014. Both Leinster and Waratahs wear blue, are big city sides traditionally associated with a middle class private school attending fan demographic. In Munster, Leinster have a longstanding rivalry with a team in red and the same goes for the ‘Tahs and Queensland Reds. Then of course there is Michael Cheika. Will the Waratahs go on to dominate southern hemisphere club rugby in the same way Leinster did in Europe? 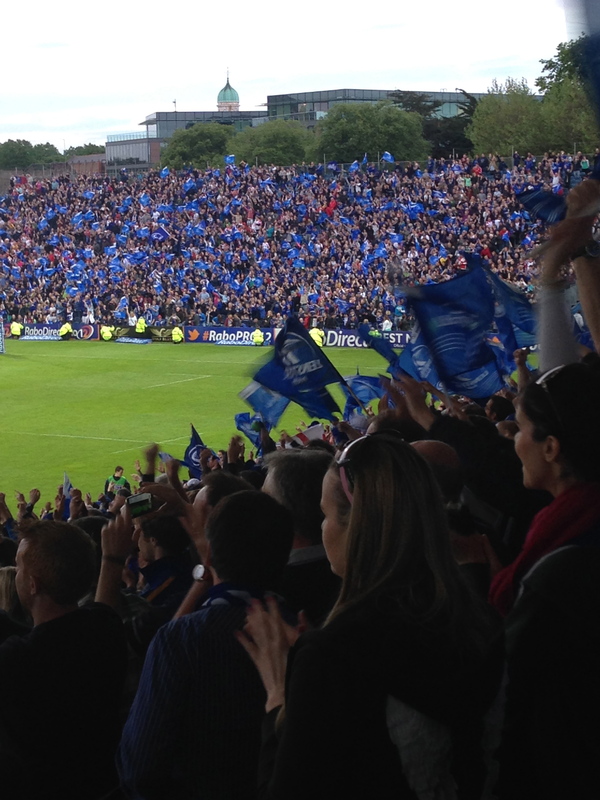 Leinster won the Heineken Cup three times in four seasons. Will the Waratahs’ fan base expand and diversify in the same way Leinster’s has? Currently the Irish province has an impressive 103,000 Twitter followers compared to the 26,500 following the Waratahs. Can love of the game grow by that amount over the next five years? The parallel is fascinating but obviously there are differences. I was rather surprised at how low key the buzz in Sydney was the weekend the Lions were playing the Waratahs. There were very few fans out and about in ‘Tahs colours. If the Wallabies were playing Leinster in the RDS or as the Wallabies played Munster in a tour match back in 2010, there would be a great sense of excitement on the streets and in the media. 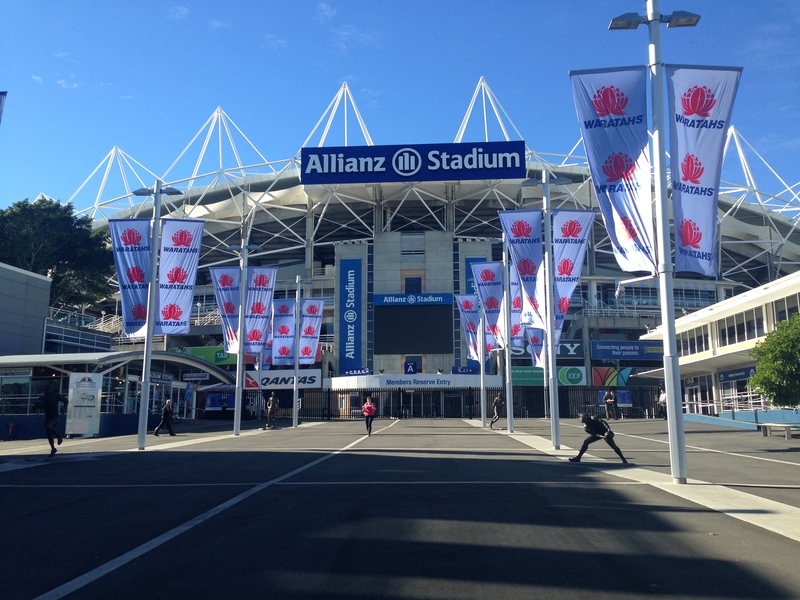 Obviously Sydney’s population of 4 million would play a part in the Waratahs’ support seeming “watered down”. The lack of Champions League football in Dublin has created another gap for rugby in the city. Leinster’s (and similarly for Muster and Ulster and to a lesser extent Connacht) unique selling point has been see top class internationals, playing at home week in week out in cross boarder competition against other stars of rugby. This is something the Waratahs no doubt will want to cement. Despite the fact rugby is up against even stiffer competition in Sydney and New South Wales as there are nine Rugby League franchises in Sydney and when you look at the state as a whole, there are 10 of the 16 NRL clubs based in New South Wales. In terms of Australian Rules, in Sydney there are both Sydney Swans and Greater Western Sydney Giants playing in the AFL. Soccer is Australia’s biggest participation team sport due in part to the large immigrant population and also the belief among many mothers that it is a much safer alternative to rugby, rugby league or Aussie rules. Sydney’s professional football team Sydney FC play in the A-League alongside fellow New South Wales based sides Central Coast Mariners and Newcastle Jets. All that is a lot of competition for the Waratahs but as with Leinster the international component to competition is a huge draw. Rugby is a truly international sport even if it does seem as if it is only played in pockets of the globe compared to soccer. The international aspect of rugby league is limited with real strength in the sport only coming from Australia, New Zealand and England. With Aussie Rules the closest one gets to international competition is the mixed rules series against Irish Gaelic football sides. So, the fact the Waratahs play their Super Rugby against sides from South Africa and New Zealand will is a further incentive to fans. At international level, there has been quite a lot of talk of how the Wallabies fan base has quietened and shrunk. If we are to go down the social media route again, the support figures are rather stark, Ireland’s official Twitter account @IrishRugby has 242,000 followers compared to 104,000 following @Qantas Wallabies. Can rugby union ever rule Aussie hearts? This is something the Australians themselves are very much aware of and Fox Sports Australia has commissioned a documentary Call of the Wallaby exploring with good humour what it means to be a rugby fan in Oz. Lots of Irish rugby fans will probably enjoy this series, which is available to watch on YouTube as one of its presenters Sean Maloney seems to becoming something of a cult rugby voice here with his Rugby HQ’s Top 5 clips being frequently lauded on the likes of the Score.ie and Joe.ie. PS Wouldn’t it be great if a similar type of series could be made about rugby support in Ireland, reflecting on the current situation here and how things have changed in the past 10 years?